The Alibi Guinness Pint Glass Engraving Event - Oak Beverages Inc. The Alibi Guinness Pint Glass Engraving Event, Thursday, January 31st, 5:30pm. Take home your own Guinness Pint Glass engraved with your name! 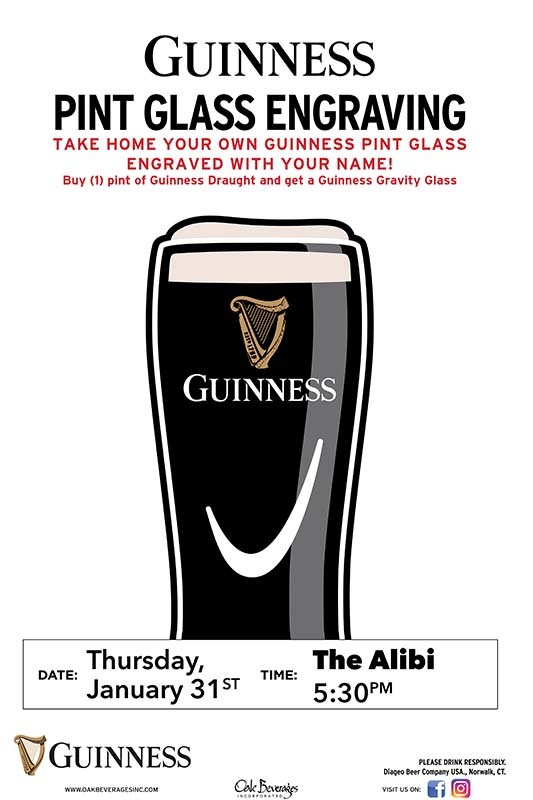 The Alibi Guinness Pint Glass Engraving Event, Thursday, January 31st, 5:30pm.